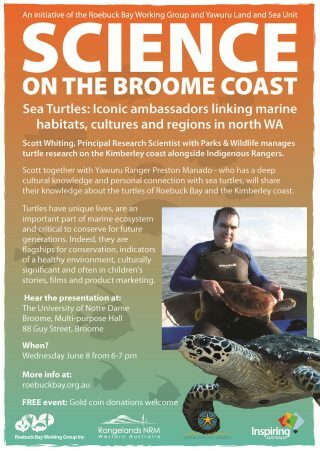 Dr Scott Whiting, Principal Research Scientist with Parks and Wildlife together with a Yawuru Ranger, will share their knowledge about the turtles of Roebuck Bay and the Kimberley coast and their reproduction. Sea Turtles: Iconic ambassadors linking marine habitats… University of Notre Dame Multipurpose Hall, Wednesday, June 8 at 6pm. Free event: Gold coin donations welcome. Science on Broome Coast is sponsored by Inspiring Australia, Yawuru Land and Sea Unit, WA Marine Science Institution, University of Notre Dame, Department of Parks and Wildlife, Rangelands NRM through funding from the Federal Government Landcare Program. This innovative science series is put on by Roebuck Bay Working Group and the Yawuru Land and Sea Unit. 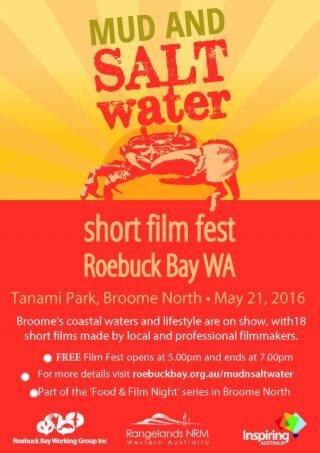 Due to popular demand, the short films made for the inaugural 2015 MUD AND SALTwater SHORT FILM FEST, will be shown at Tanami Park, Broome North on Saturday May 21, 2016. The FREE event starts at 5.00pm, so bring a picnic and rug and enjoy sitting under the stars and watching 17 outstanding short films made by Indigenous, Professional and local filmmakers about Broome’s saltwater country. The Azuki food van will be there for people who wish to purchase a meal. The event starts with a Yawuru Welcome to Country and smoking ceremony, following by a series of outstanding photos of Broome’s coastal waters, then the short films. 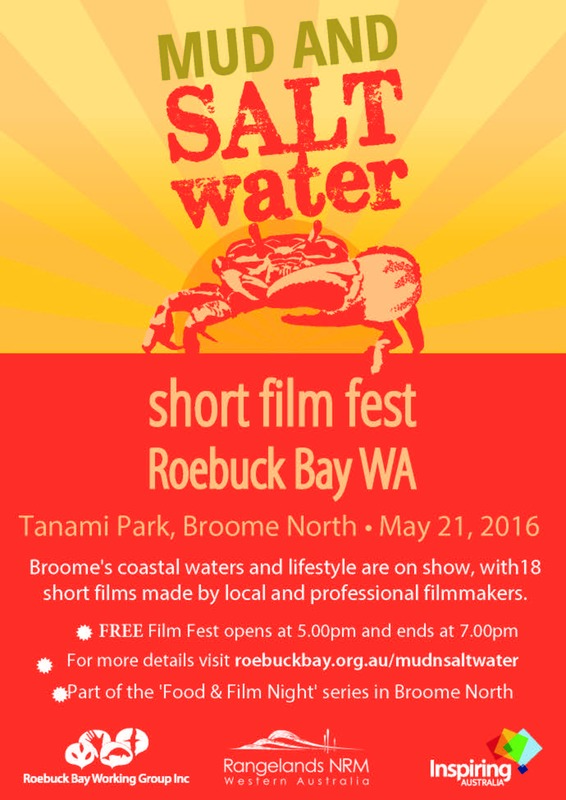 The Roebuck Bay MUD & SALTwater SHORT FILM FEST is funded by Rangelands NRM through the Australian Government’s National Landcare Program, LandCorp and Inspiring Australia.